My youngest daughter loves cheesecake – so do I. 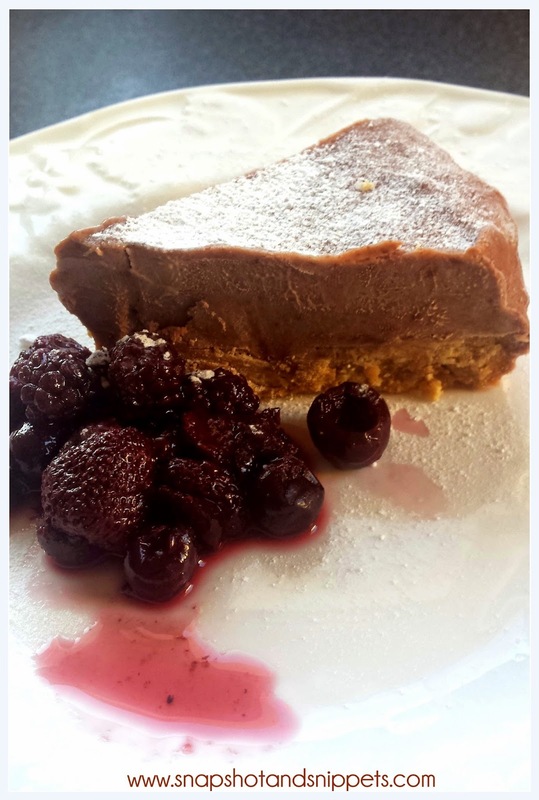 But I also like to eat as healthily as possible which is why Quark is so handy, it is a very low fat soft cheese perfect for making this luscious Low Fat Chocolate Cheesecake. Trust me it tastes full fat and will satisfy the hungry dieter. One large bar of chocolate or bag of chocolate chips – I used dark as that is my preference. Crush the digestive biscuits and mix with the melted butter. Press into the base of a 20cm springform tin. Chill tofirm. Break the chocolate into pieces and melt in a bowl over hot water. Whisk the light soft cheese with the quark and icing sugar. 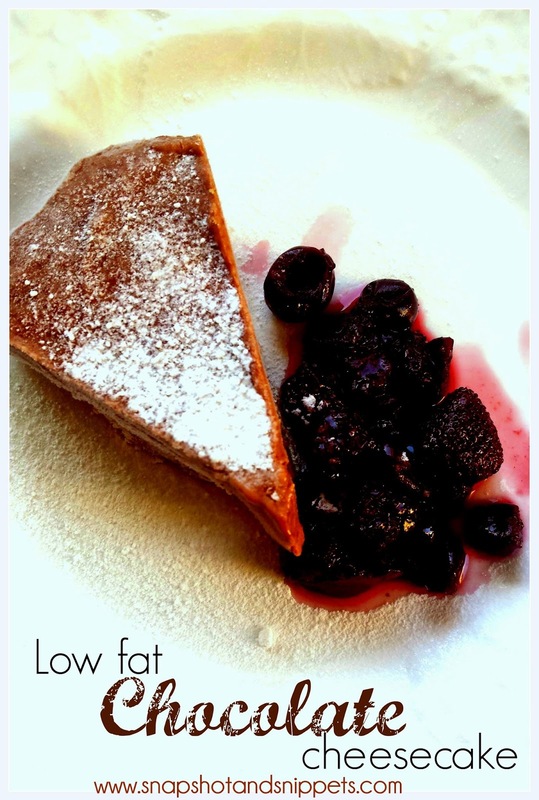 If you want a firmer cheesecake – soften the gelatin in a small amount of water and then add to the chocolate as it melts and stir in well to combine. Pour the melted chocolate into the into the Quark mix stir through thoroughly and then spoon onto the biscuit base. Place in the Fridge and chill until set. Serve with a simple summer fruit compote made from frozen fruits and brown sugar and honey and a dusting of icing sugar. 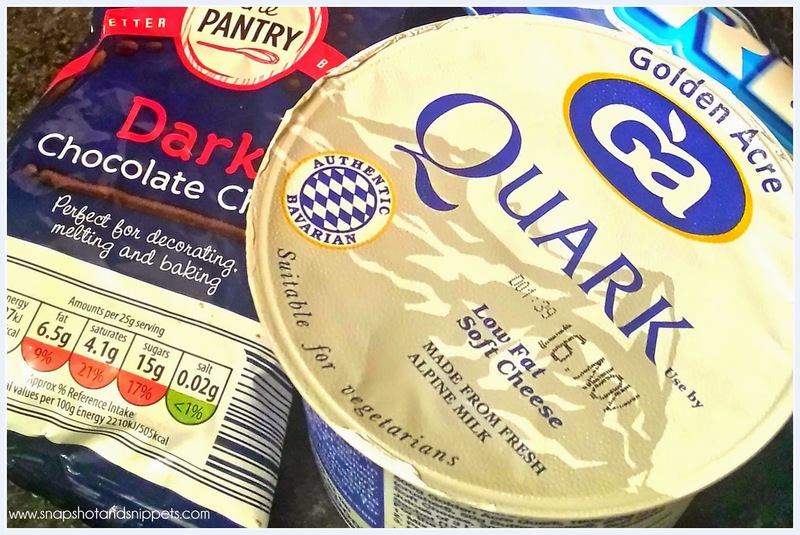 Want an easy strawberry or lemon quark cheesecake? Leave out the chocolate and change the gelatin sheets for favoured jelly made with only a quarter of the water. This dish also freezes well – cut into portions and save in the freezer to pull out for dessert when guests visit.